The India-spec Husqvarna Vitpilen 401 modern cafe racer has been caught testing in India once again, courtesy PowerDrift. 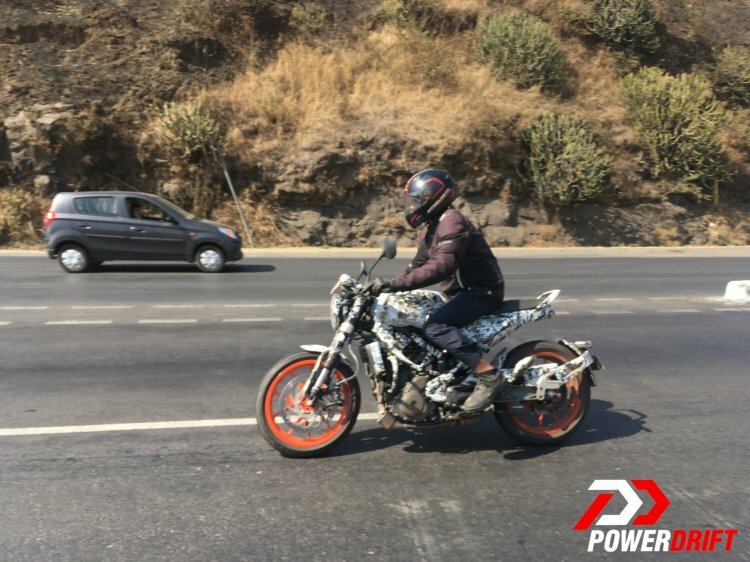 The India-spec Husqvarna Vitpilen 401 test prototype was seen with orange alloy wheels and a rear grab rail. We expect the production-spec model to come with wire-spoke wheels. 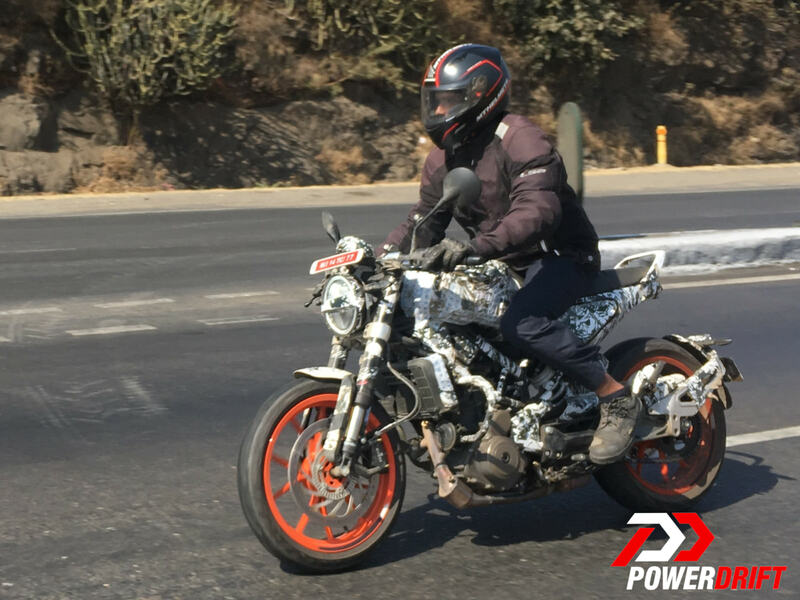 Unlike the global-spec version that features wire-spoke wheels, the India-spec Husqvarna Vitpilen test prototype gets orange alloy wheels from the KTM 390 Duke and an additional rear grab rail. The Vitpilen 401 incorporates a radical 'modern cafe racer' design philosophy with clip-on handlebars, round LED headlight, higher set footpegs and minimalist body panels. The Husqvarna Vitpilen 401 will share a few components with the KTM 390 Duke, which includes the steel trellis chassis, suspension setup, engine, switchgear and disc brakes. Other parts like instrument cluster, wire-spoke wheels, body panels and much more will be procured locally. Rakesh Sharma, Director, Bajaj Auto revealed on 7 February that the Husqvarna 401 twins will be launched in India in Q2 (July-September) of FY2019. A report from November last year hinted that the 401 twins will initially be imported in India as CBUs. The motorcycle will be retailed through the existing KTM dealership network that is spread across the country, while after sales service will be carried out at KTM service centres. Rajiv Bajaj has hinted that the Husqvarna brand could have as much as 6 offerings eventually. The Husqvarna Vitpilen 401 will source power from a 373.2cc, liquid-cooled, DOHC, fuel-injected motor that is paired with a 6-speed gearbox, while a PASC slipper clutch is standard. The 4-valve engine develops 44 PS of maximum output and 37 Nm of peak torque. Electronic wizardry includes a ride-by-wire throttle system, which should provide linear power delivery. Apart from the alloy wheels and grab rails, the India-spec Husqvarna Vitpilen 401 looks identical to the global-spec model. The Husqvarna 401 twins will be positioned above the KTM 390 Duke and we expect a price tag of around INR 2.60 lakh (ex-showroom). The motorcycle will rival the recently launched Honda CB300R and the Royal Enfield Continental GT 650.